Osprey's hugely popular, Zombies: A Hunter's Guide returns in this deluxe, limited-edition hard cover. Bound in black leather with silver embossing and silver, gilt edging, this beautiful book is sure to be an instant collector's item. 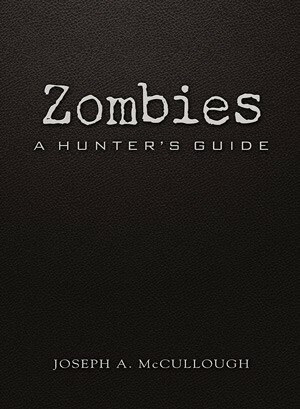 Zombies: A Hunter's Guide contains all of the information necessary to recognize and combat this growing threat. Beginning with an explanation of the historical origins of zombies, it follows their history through to the threat they pose to the world today. All varieties of zombie are catalogued and examined, giving their strengths and weaknesses, with a special emphasis on recognition and elimination. Finally, the book covers the tactics and equipment used in zombie fighting, from the man on the street with his sharpened hockey stick to the latest fully automatic grenade launchers and anti-undead armor employed by top-secret government "Containment Teams.” Accompanied by numerous full-color reconstructions to help with identification, this book is a must for anyone on the frontlines of the Zombie Wars. 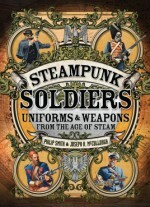 Joseph A McCullough is the author of several non-fiction books including A Pocket History of Ireland and Osprey Adventures' Dragonslayers. 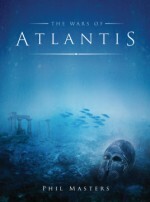 In addition, his fantasy short stories have appeared in various books and magazines such as Black Gate, Lords of Swords, and Adventure Mystery Tales. He also co-wrote The Grey Mountains, a supplement for the Middle-Earth Role-Playing game. ?Mariusz Kozik was born in Lublin, Poland, in 1973. From 1989-94 he studied fine art at the Artistic Lyceum in Lublin, then from 1995-2000 at the Academy of Arts in Wroclaw, earning his diploma under Professor Joseph Halas. Mariusz's work has been exhibited extensively in Poland. While he loves the traditional painting methods, he began experimenting with computer-assisted artwork in 2006. His enthusiasm for military history began as a boy but has blossomed with his career.